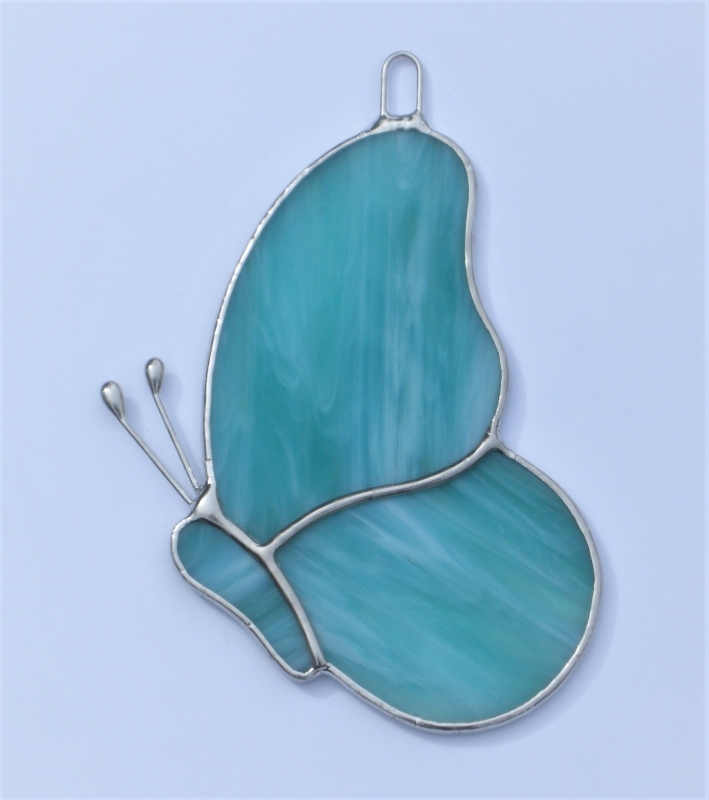 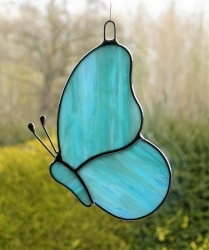 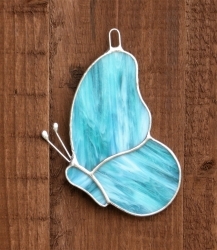 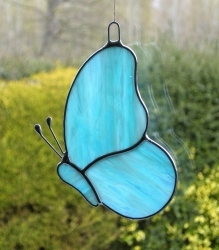 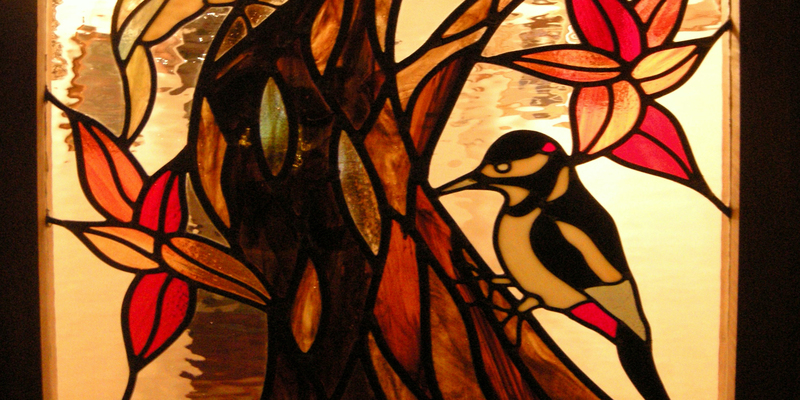 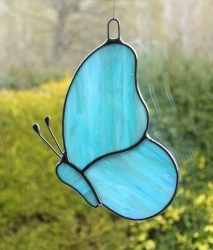 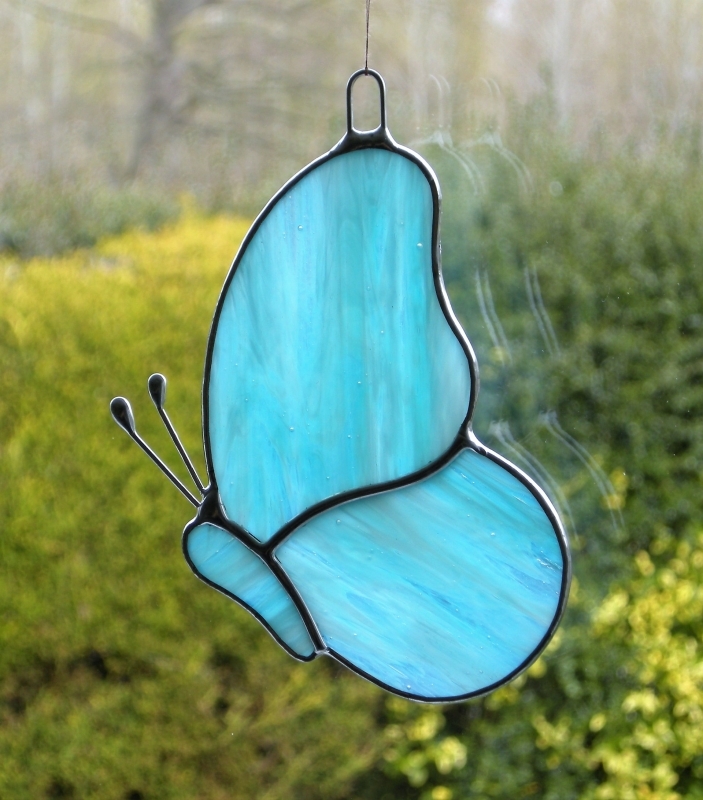 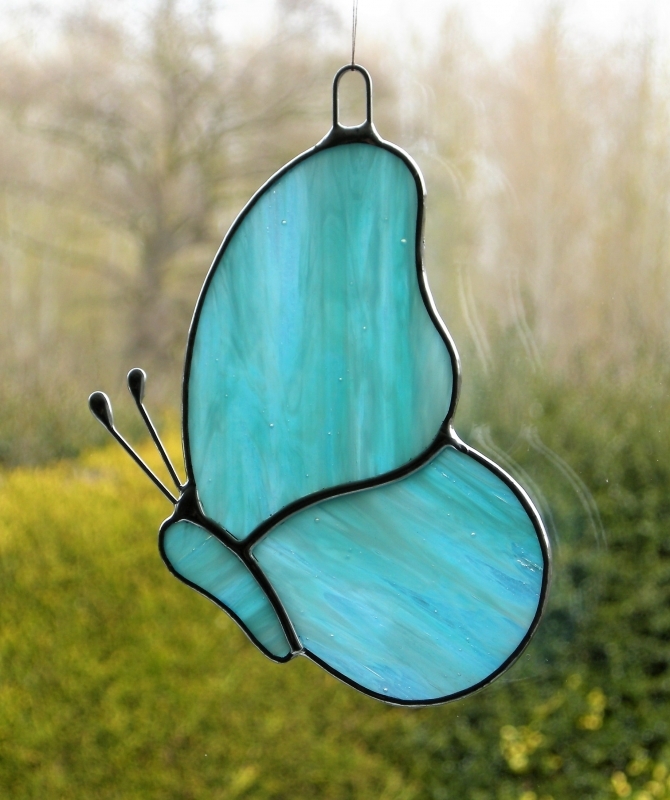 Beautiful stained glass "Butterfly" design is constructed using the copper foiling method with a mixture of glass colours and textures (in this piece are sky blue and white streaky semi-translucent glass, slightly seeded). 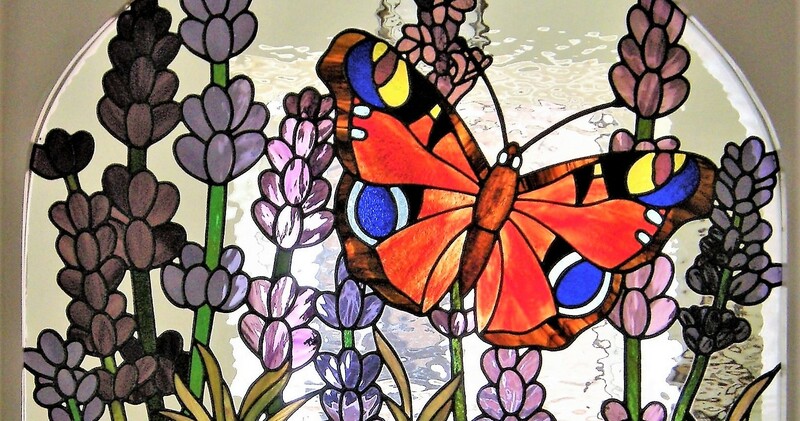 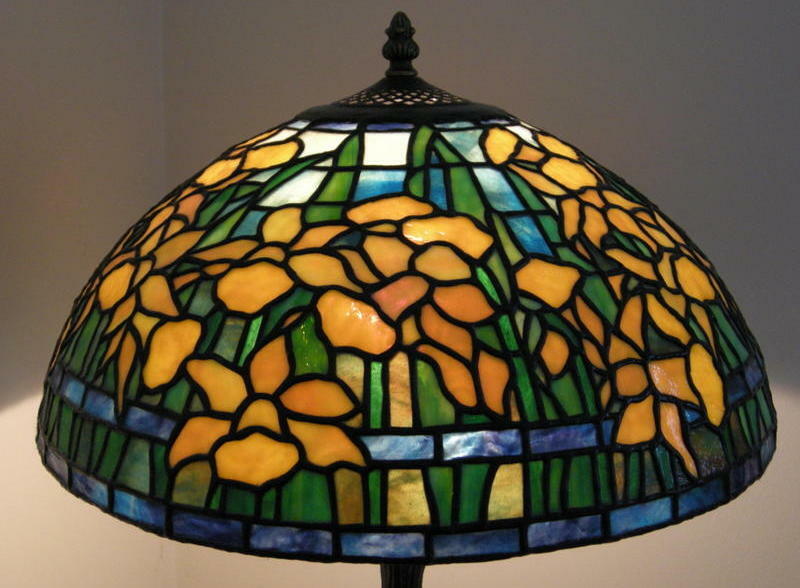 What you see in these pictures are different positions on different days to show the effect of the glass colours and textures reflecting against natural light, indoors and outdoors also on a paper background. This Butterfly measures approximately 12cms in height and 8cms in width. A loop has been soldered on the top of the butterfly ready to hang using some strong string, fishing line, or something similar with strength.